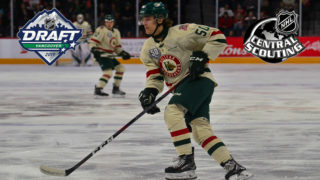 128 players from the Canadian Hockey League have been listed among NHL Central Scouting’s November ‘Players to Watch’ list for the 2019 NHL Draft which takes place June 21-22 in Vancouver, BC. 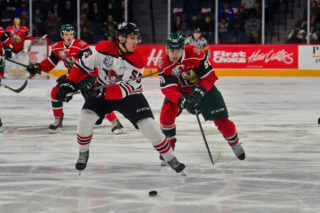 The 128 players includes 48 from the Western Hockey League, 47 from the Ontario Hockey League, and 33 from the Quebec Major Junior Hockey League. 11 skaters received an ‘A rating’ which indicates a first round candidate. 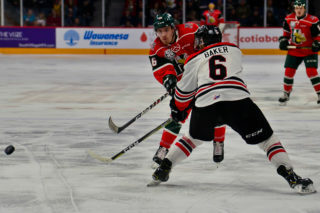 Each league had ‘A’ ranked representatives, with the WHL featuring six, followed by both the OHL with three and the QMJHL with two. 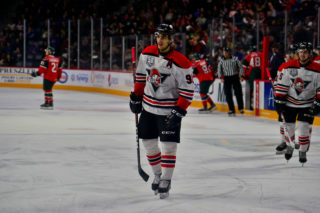 ‘A’ ranked talent from the WHL includes forwards Dylan Cozens (Lethbridge Hurricanes), Kirby Dach (Saskatoon Blades), Nolan Foote (Kelowna Rockets), and former first overall pick Peyton Krebs (Kootenay ICE), along with defencemen Bowen Byram (Vancouver Giants) and Matthew Robertson (Edmonton Oil Kings). In the OHL, ‘A’ ranked players include forwards like former first overall pick Ryan Suzuki (Barrie Colts), Arthur Kaliyev (Hamilton Bulldogs), and defenceman Vladislav Kolyachonok (Flint Firebirds) who rises up the list from a ‘B’ rating in October. 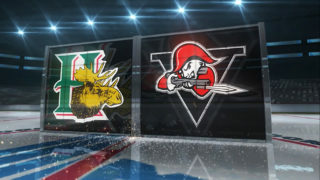 The QMJHL follows with ‘A’ ranked representatives in forwards Raphael Lavoie (Halifax Mooseheads) and Samuel Poulin (Sherbrooke Phoenix). 28 skaters and six goaltenders received a ‘B’ rating which indicates second/third round candidates while 76 skaters and seven goaltenders received a ‘C rating’ which indicates fourth/fifth/sixth round candidates. 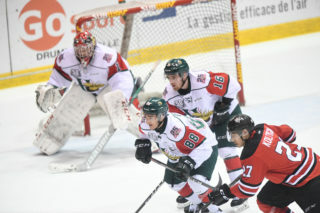 Forwards Xavier Parent and Marcel Barinka of the Mooseheads both received ‘C’ ratings. The Edmonton Oil Kings lead the way with six players on the list, followed by the Kelowna Rockets with five, then four players from the Drummondville Voltigeurs, Guelph Storm, London Knights, Medicine Hat Tigers, Ottawa 67’s, and Sault Ste. Marie Greyhounds.